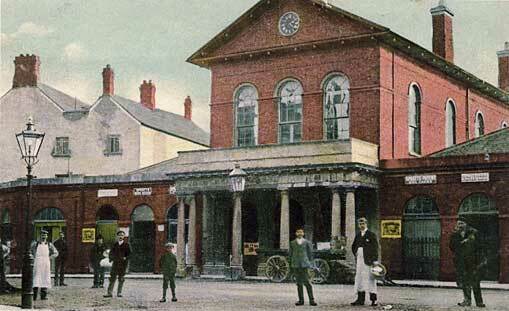 Our aim is to restore the town hall for use by the people of Wiveliscombe and surrounding areas. The profits from concerts staged at the Wellhayes Vineyards during 2019, will kindly be donated to the Town Hall Trust. The Trustees are delighted with this wonderful offer of support – our thanks to Alison and Simon Routh. The programme of concerts for 2019 has just been announced. They will be put on in the Tasting Room overlooking Wellhayes Vineyard in Clayhanger. The concerts provide an oppurtunity to enjoy first class classical music along with a glass of Wellhayes sparkling wine and other wines from Devon and Somerset. This year Wellhayes is putting on nine concerts running from February to October and they will be contributing net profits to the Wiveliscombe Town Hall Trust. The first concert is on Thursday 14th February and features Trio Sora, a renowned piano trio from France who have already made a name for themselves internationally. Tickets and details are available from www.wellhayesvineyard.co.uk/music. We have been awarded, just under a £15,000 grant from the REACH Fund. The Reach Fund is a grant programme that helps charities and social enterprises raise investment. The programme is funded by Access – The Foundation for Social Investment. This will go together with other recently raised funds towards getting drawings and plans made up, as well as sourcing investment for the refurbishing work. Exciting times and it really feels like ‘the ball is rolling’! The Trustees are delighted to welcome Ele Laker and Rod Miller onto the Town Hall Trust Board. Rod and Ele bring a wealth of experience to aid the Board through the next (very busy) stage of the Town Hall’s restoration. Another great evening. 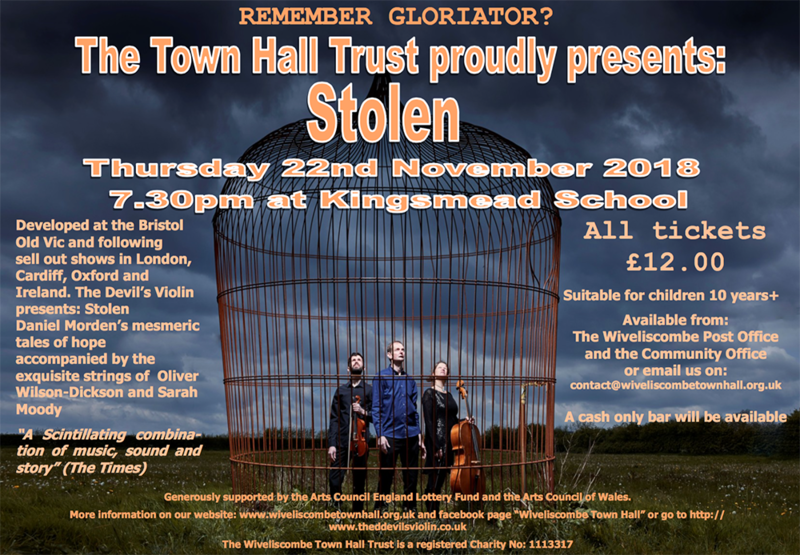 It certainly was…’a scintillating combination of music, sound and story’! Thanks to all who attended and helped us raise further funds for the Town Hall. Feedback again has been really positive – a real taste of things to come when we can put on shows such as this in the refurbished Town Hall! Thanks to The Devil’s Violin for putting on the show, Kingsmead and staff for hosting, and to all who helped on the night. If you are someone who enjoys walks in the countryside surrounding Wiveliscombe, you may at some point, have bumped into either Chris Perry, Dave Lonsdale-Eccles or both out running. Regular runners, they had both previously run up to the Marathon distance of 26.2 miles on a few occasions. On Saturday 13th October, they set themselves the much bigger target of 40+ miles, in order to raise awareness and sponsorship for Wiveliscombe Town Hall. They gave themselves a really tough challenge to show their determination to help with this worthy cause. They chose Glastonbury to start their quest as it has a grand and functioning town hall of its own. They planned a route nearly all on footpaths, across the Levels, over the M5, under Bridgwater, on to the Quantocks to Triscombe, down to Brompton Ralph and finishing at the Town Hall in Wivey. On the day the weather forecast was for heavy rain and strong winds. They set off from Glastonbury Town Hall at just after 6am and sure enough they were running in the dark, into wind and driving rain! Fortunately as the skys lightened, the rain eased and despite the continuing winds, the rest of the day stayed dry and the sun even came out at times! With the help of a support crew who provided extra food, drinks and dry socks at four scheduled stops, the run went well. Chris did admit to getting a little light-headed around mile 34, but an extra handful of jelly babies saw him through! Finally at just before 5pm they were spotted running down from the Quarry above Langley Marsh where family and friends ran with them towards Wiveliscombe. 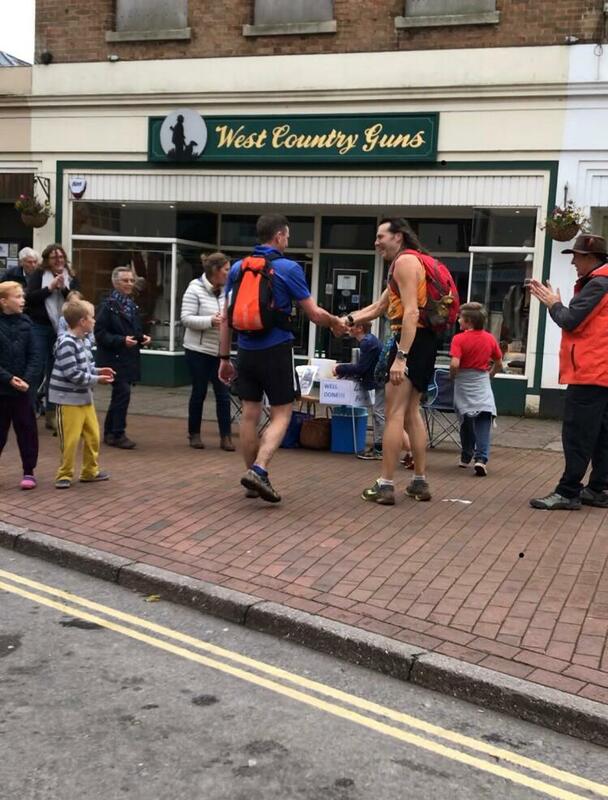 They ran along North Street where they were encouraged with cheers from the Bear, finally finishing outside the Town Hall to a rapturous welcome from local people who had turned out to meet them, just over 41 miles and under 11 hours from the start! £2500 was raised for the Town Hall. The money will go with other funds recently raised by the WTHT to get the planning stage of the refurbishment underway. It’s a very exciting time for the Town Hall after many years of hard work. Chris and Dave would like to thank everyone for their kind donations and support and would like to encourage people to continue to support the WTHT. What a fantastic evening. 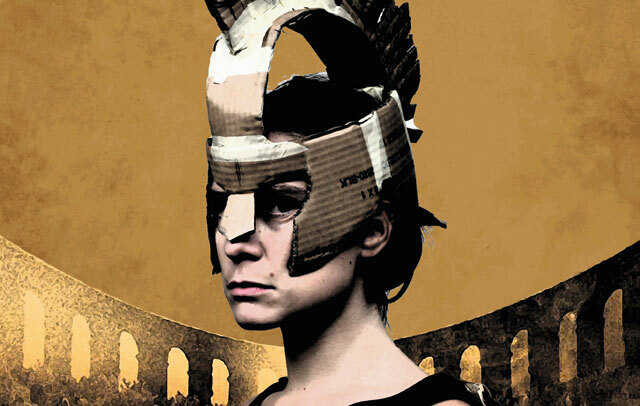 The cleverly written and performed ‘Gloriator’ illustrated just the sort of event the Town Hall would like to host on a regular basis. With cracking comedy theatre, good food, a local bar and of course a great audience it was a huge success, with people asking when’s the next one!? We’d like to say a huge thank you to Spitz & Co as the kindly donated their time free of charge and all proceeds will go to the Town Hall Fundraising campaign. Feedback was so positive and encouraging that we intend to arrange something similar in the autumn. 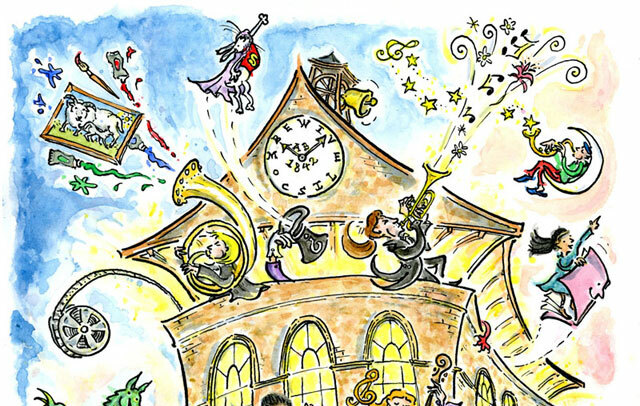 TOWN HALL CLOCK – TICK TOCK! Big thanks to Chris Perry who has volunteered to wind the Town Hall clock each week. The clock is the responsibility of the Town Council who have agreed to donate £100 per year to the Town Hall for keeping it wound. We’re very grateful to Chris for taking this task on as it’s great to look up and see it working again. 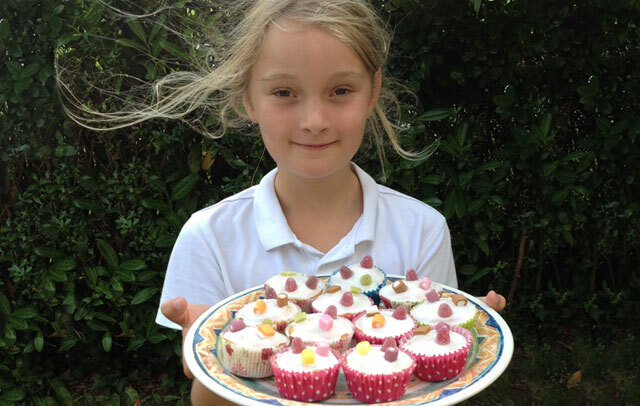 Many thanks also to Tabbie Shaw for the tasty donation of £15 from her cupcake sale too – every penny helps! The Trustees were delighted to be presented with a cheque in November 2016 for £1,500 towards the Town Hall refurbishment from Richard Brunning on behalf of Brendon Energy. This donation is enough to completely refurbish one of the windows and recognises the importance of regaining the use of this iconic building for the benefit of the residents of Wiveliscombe and surrounding areas. The Wiveliscombe Town Hall Trust are delighted to have secured a further £12,500 from the Architectural Heritage Fund (AHF) which will see the Town Hall project moving forward towards planning and then submitting large scale capital funding bids. In order to secure the AHF funding the Trust needs to match the amount by December of this year. The AHF funding will cover 50% of the costs required to have the drawings and surveys in place for the project to go through planning, as well as the business planning work needed to secure the capital funding for the total refurbishment of the Town Hall, which is estimated to be in excess of £300K. Chair John Bone states, ‘This money from AHF is validation for all the hard work and determination shown by the Trust; it has been a lengthy process to secure the lease but things are now really moving on. Previously AHF funded our project viability work, which has allowed us to work on business planning and community consultation and this continued support for the next stage of project development work from AHF is very welcome! £1,900 FROM THE CO-OP LOCAL COMMUNITY FUND! We raised an amazing figure of just over £1,900 from the Co-op Local Community Fund and we’d like to say a HUGH thank you to all those people who signed up to support us. During October 2017 Town Hall trustee Steve Jones completed a 20 mile walk along the coastal footpath from Minehead to Lynton with his dog, son and his girlfriend in a very speedy 7 hours 45 minutes! The walk walk was tough with two ascents and descents of over 1000 feet and despite a grey day and very sore knees they raised just over £200. A great and much appreciated effort. We opened the Town Hall doors on Saturday the 16th December for carols, ukulele, mulled cider and mince pies. Thanks to trustee Chris Perry the room looked so beautiful with an enormous tree, full sized father christmas and lots of sparkly lights. 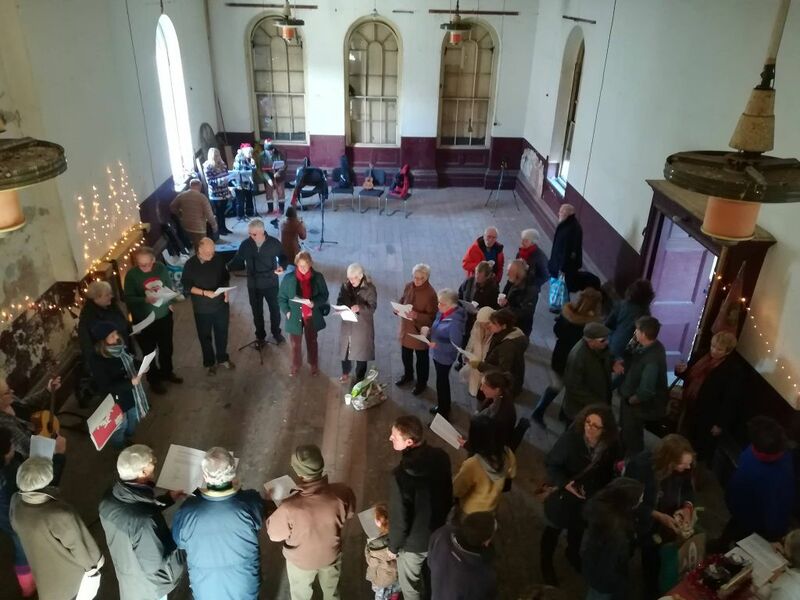 Wivey’s Community Choir and Ukulele group kindly donated their time and a great hour was had singing christmas songs and soaking up the atmosphere. It was a great opportunity to showcase the newly restored window and all who came said how festive it was and how much they enjoyed it, we raised a further £150. 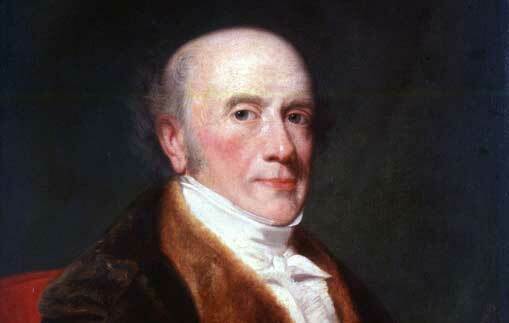 The building was completed in 1842 and was initially known as the Assembly Rooms. At the front of the Assembly Rooms was a large portico through which, in an area now occupied by the Co-op, West Country Guns and the Library, lay The Shambles; an extensive open market that housed stalls selling fish, meat and other produce. To the rear was a pig market together with stables and a coaching house. After 52 years at the heart of Wiveliscombe’s society and commerce the building was sold by Baring’s heirs following poor investments which lead to the family bank being rescued by the Bank of England. At some point the portico was removed and access route through the Lion Hotel was lost, necessitating the new access from The Square. The upper floor formed the town’s Assembly Hall which was reached by a grand oak staircase rising from the Lion Hotel’s courtyard. The Halls was used for over 100 years for performances, concerts, balls, cinema, reading rooms and other public events and activities. Meanwhile, there was a large balcony over the portico from which newly elected MPs made their electoral address to their constituents. In 1929 the building was bought by the Cooperative Society with the last public use of the Assembly Hall taking place in 1958, since when it has lain empty and unused. The whole building (ground and first floors) was listed in 1984. The clock is owned by the Parish Council which retains the right to enter the building to keep it wound. We are extremely keen to bring as much art and culture into our region because we believe there is a real thirst for such events. As part of the building’s restoration, the report recommends that the portico should be reinstated and a new access provided from The Square. A new extension built to the rear has recently been completed by the Co-op and the Trust are investigating using this opportunity to provide the Hall with a roof terrace bar. All works will be completed to a high environmental specification. Since the report was completed the Trust has successfully managed to acquire a long term lease from the Co-op. The cost of restoration and conversion of the listed building are estimated upwards of £300,000, presenting a significant fundraising challenge for the Trust. An additional challenge will be to ensure that the eventual uses of the Hall are able to cover the building’s running costs. The Trustees are extremely passionate and optimistic that this challenge can be met, not least with the support of the local community. The Town Hall will, once again, welcome the public through its doors and take its rightful place at the heart of the Wiveliscombe and 10 Parishes cultural and community life. The Trustees are Emma Bettridge, Chris Perry and Dave Lusk with Linda Featherstone as Secretary. All the Trustees live or work in the Ten Parishes and bring a wide range of relevant expertise and experience to the Trust. 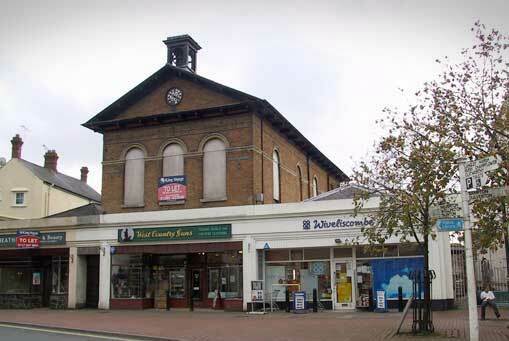 Wiveliscombe Town Hall Trust are looking for new trustees. We’re looking at you. We want your passion, your inspiration, your brilliant minds. We are on the cusp of getting all the plans drawn up for a NEW ARTS VENUE for the area and as we plow on we need a team to hold the reins carefully and confidently. Could this be you? Hit the contact us section below and tell us your dreams. The Town Hall was built in 1842 for Alexander Baring, First Lord Ashburton, landlord of the Wiveliscombe and Fitzhead Estate, one time MP for Taunton and founder of the London banking house, Baring Brothers & Co. The Wiveliscombe Town Hall Trust aims to restore the Hall and re-instate it as an arts venue for the people of Wiveliscombe and the 10 Parishes. The Trust was formed in 2006 to preserve the building and bring the upper floor back into active use. If you would like to support the trust, then please follow the contact links below. 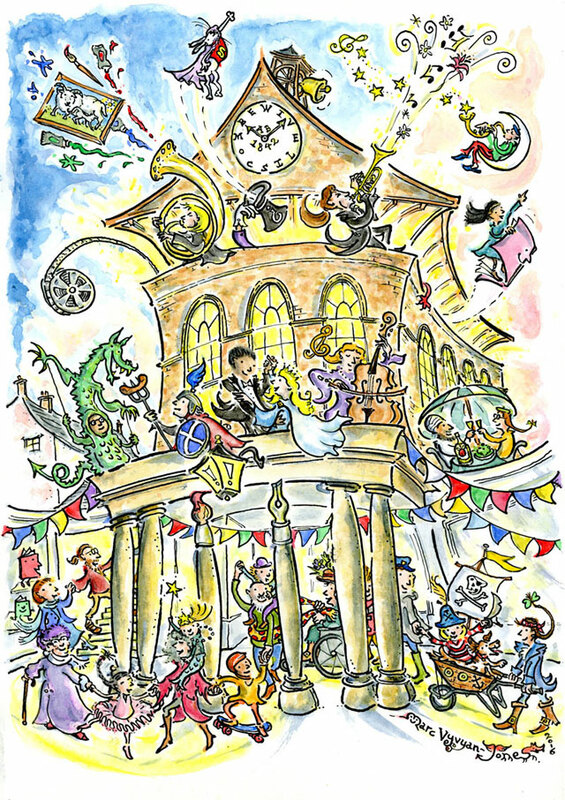 The Trust approached local illustrator Marc Vyvyan-Jones to produce a piece of artwork to use in the promotion of the Town Hall. Marc has produced a magical piece which has really bought the building to life. 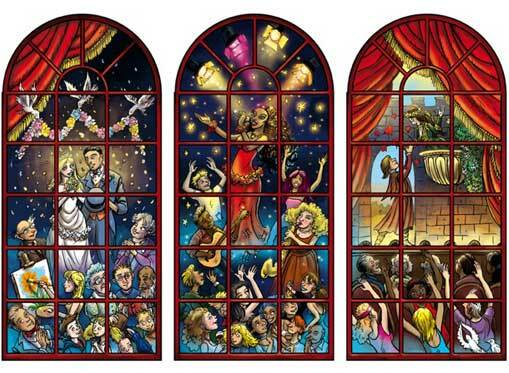 It’s full of detail, fun and colour, with golden light emanating from the windows and doors, with a wide range of arts raising the roof! So far we’ve used the artwork to produce flyers, but postcards and limited edition prints are available on request. 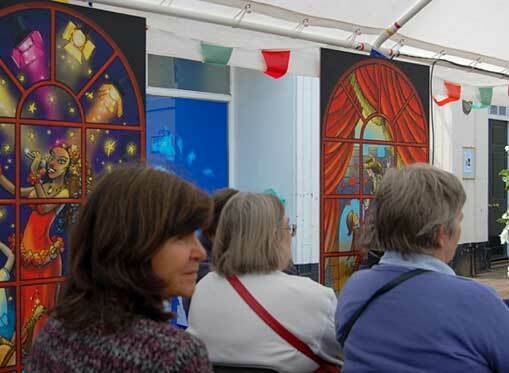 The Wiveliscombe Town Hall Trust are delighted to have now raised over £5,000 from their window pane initiative and are well on the way to commissioning new window frames for the Town Hall. Latest sponsors include Day Lewis Pharmacy, Porter Dodson Solicitors, Cotleigh, Exmoor and Black Bear Breweries and the Jim Laker Fund. We’d like to say a big thank you to all our sponsors and there is still an opportunity to buy a pane in support of the project and to have your name recorded for posterity under the window you have funded. Panes start from as little as £25. If you too would like to get a massive thank you and a feeling of achievement by sponsoring a window do get in touch. OTHER FUNDRAISING IDEAS . . . The Trust continues with more direct funding drives from within the community. The trust are aiming to hold regular fund raising events throughout the year and started with a coffee morning during February in The Bear, raising over £80. On the same day the primary school held a ‘non-uniform day‘ raising a further £145. Other fundraising ideas include, a guided walk around Wivey, supper with a speaker, pop-up meals, a valuation day, auction of promises etc. If you have any suggestions or time to give towards fundraising or would just like to be kept up to date with events then please contact us and become a ‘Friend of Wivey Town Hall Trust’. Residents of the 10 Parishes and visitors alike had the opportunity to voice their thoughts on the potential uses for the site at the annual Wivey Street Fair 2016 by using stickers and post-its at the Trust’s fund-raising stall. Thoughts included a theatre, a cinema and a venue for live music, a thirst was evident for an arts and culture venue for the town. The Trust are looking for more feedback from the community, so please get in touch with any thoughts or ideas. Tell everyone you can about this great project and follow us on Facebook and Twitter! Make a Donation. Whether you’re a company, trust or individual looking to make a small personal contribution, your support will help open up this fantastic space to many more people. Please use the MyDonate link below, it is greatly appreciated. We need plenty of local support with our fundraising programme. Becoming a Friend of the Wiveliscombe Town Hall Trust. You could either fill in the form to the right, fill in one of the Town Hall Postcards and return it to the address opposite, or call in and leave your details at Wiveliscombe House. Your details will only be used for the purposes of the Trust and will not be shared with any other organisation.